Don't pay for shipping now through October 15, 2016! Just mention promo code "ShipAware16" to get Free Ground Shipping on orders of $100 or more. Visit our website for the full details. 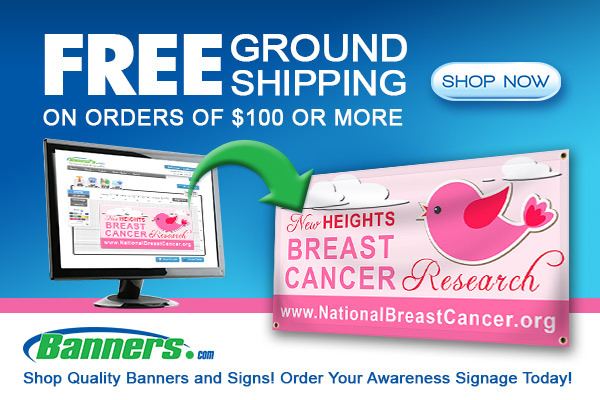 It's easy to order custom vinyl banners Banners.com! You can customize a template in our online designer, upload your own artwork, or work with one of our graphic designers. Visit our website to get started on your order.